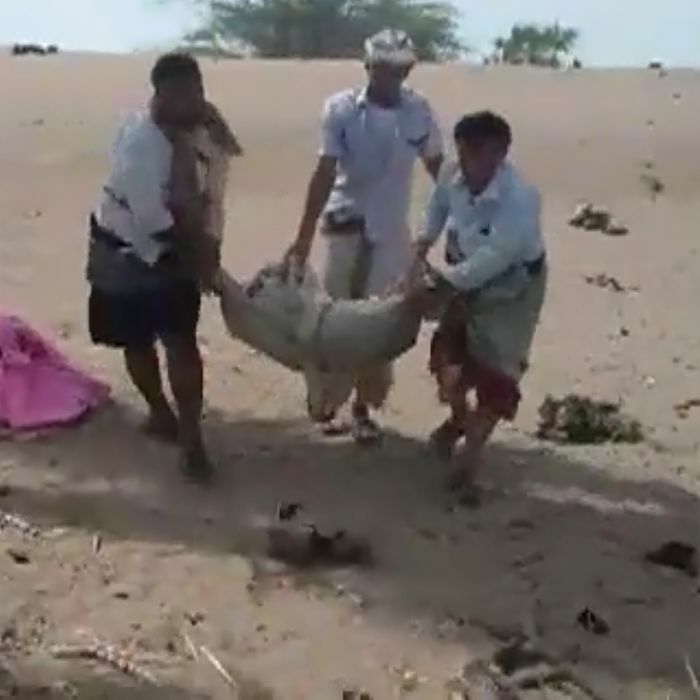 The United Nations claims that for the second time in August, a bomb launched by Saudi Arabia in the American-backed campaign against Yemeni rebels killed more than 20 children. Mark Lowcock, an undersecretary-general at the U.N., said in a statement on Friday that a Saudi airstrike had killed at least 22 children and four women in the rebel-held area near Al Hudaydah, and that another airstrike in the area had killed four more children. Though there was no independent verification of the death toll, the New York Times reported that “U.N. partners verified the information” Lowcock provided. “I echo the recent statement by the Secretary-General on Yemen, condemning such attacks on civilians and calling for an impartial, independent and prompt investigation into these most recent incidents,” Lowcock wrote. Just two weeks ago, a bomb launched by Saudi Arabia — but manufactured in the United States — killed dozens of Yemeni children who were traveling on a summer camp school bus. For the last three years, Yemen has been embroiled in a civil war between the current government, led by President Abdrabbuh Mansur Hadi, and Houthi rebels backed by Iran, Saudi Arabia’s archenemy. Since the war began, the Saudis have wielded their military might to back Hadi, helping to maintain the bloody stalemate that continues today. The United States came down firmly on the Saudis’ side during the last years of the Obama presidency, and has committed to their cause, financially and militarily, even more firmly under the Trump administration, which views Iran as the most clear and present danger in the Middle East. A growing chorus of lawmakers is pushing back against the Trump administration’s blank-check approach to abetting war crimes. A bipartisan group inserted a provision in defense bill signed by Trump on Monday requiring that Saudi Arabia and the United Arab Emirates — another major player in the Yemeni war — attempt to prevent civilian deaths in the future. But that rule is unlikely to have much teeth. And President Trump’s evident kinship with Saudi Crown Prince Mohammed bin Salman, who sells himself as a “reformer” to the West while pursuing his ruinous foreign policy and cracking down on dissenters at home, will likely complicate any effort to lessen the U.S. role in a rolling human-rights disaster. President Trump may have been stirred by the sight of dead children enough to bomb Syria earlier this year. But when it comes to the Yemeni kids slaughtered with the help of America’s money and weaponry, he remains unmoved.